Microsoft have announced their first push into hardware in the PC market. It’s called “Surface” and, well, it looks pretty good actually. It appears to be well built, and the approach with the Pro version (running full Windows 8 Pro) is exactly one of the reasons I’ve been holding off on any sort of tablet purchase (other than the fact that I don’t have any expendable income). gives me the option to do emergency work, meaning a requirement for full OS applications such as Aptana, Illustrator, shell access, browser testing and so on. I didn’t bring my laptop on my last holiday and I got by fine with my phone. I wrote blog posts, checked on some issues for client websites, wrote quite a few emails (of decent length), and accessed files from our cloud storage provider, but if something major had come up which my business partner had been unable to fix I would probably have needed to switch to a net cafe or a friend’s laptop and install some software. It is possible I might have been able to get round it via shell access and direct nano/vi editing, but I would have been more comfortable with my normal applications available to me. I’ve really liked the form factor approach from Asus with the Transformer Prime/Pad range, but I’ve been hesitant there because I’m not sure I really want to own a desktop, a laptop, a tablet (with dock), a kindle, and a phone. The approach taken by the Microsoft Surface could allow me to drop the full workstation laptop from my computing products. I welcome the Surface announcement and hope it helps to push the offerings available for consumers. More competition in this space is great to see. That is not to say I didn’t take some issue with the presentation of this new product. Microsoft skirted around the product a lot, demonstrations were brief of the product actually working, and a lot of the functionality was talked about but not shown in action. In fact, as a whole, there was a lot of talk without a huge amount of detail. You can see the full announcement below. The lack of pricing or availability information and the overall avoidance of solid demonstrations makes me think that Microsoft rushed the announcement. I also got the impression that Steven Sinofsky tried to brush over an app crash when he was trying to launch Netflix. When are Microsoft just going to get it over with and buy Nokia wholesale? Or perhaps buy the smartphone division and discarding the feature-phone end of things. Allow the Nokia brand to continue but take the Lumia end of the company (I’m sure it’s not that simple). Are they just waiting until the company is floundering so much that they pick it up cheaper? Microsoft are making tablets. 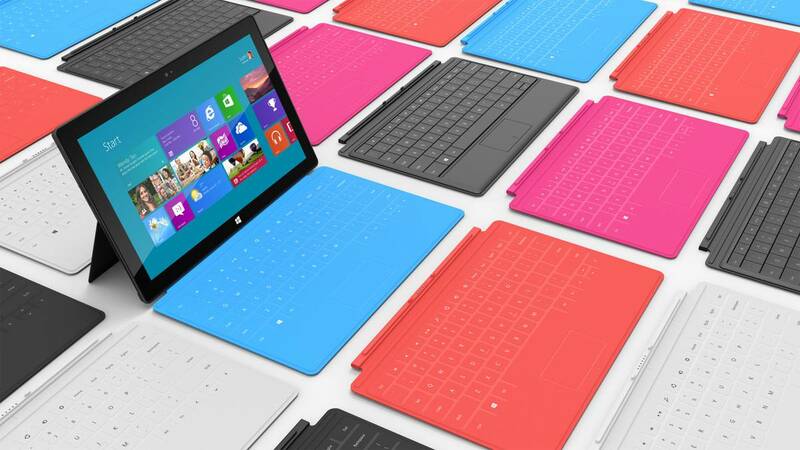 Surely they won’t want Nokia to confuse things and make a Lumia Tablet – that might deflect sales from Surface. Presumably it’d be much better to have two brands. Each one could have a few flavours within it. Lumia might offer the 700, 800, 900 – simple model numbers which indicate increasing power and screen size/resolution, and Surface should really just be simplified to Surface and Surface Pro. That brings me round to another point – the whole “Surface for WinRT” and “Surface for Windows 8 Pro” is not catchy at all. However Microsoft have not exactly had a good tradition of naming schemes for their products. They could have a solid clear product offering and allow sale of Win Phone and Win 8 licenses to still bring in the traditional software licensing revenue and provide consumers with the wide array of form factor choice to which they are accustomed. I did find this rant about the Windows Phone 8 announcement highly amusing and would certainly reflect how I would feel if I had invested in the Lumia 800/900. Go and read it, and then make sure to watch the extremely ironic advertising campaign for the Lumia.